Leicestershire History | News and Features: What is the Origin of the Leicester Wyvern? Have you ever taken a stroll through the streets of Leicester and observed the beautiful Victorian architecture? If you haven’t then it’s worth taking a trip to the city centre, but instead of doing a spot of shopping, let your eyes wonder above the shop windows and take a look at some of the highly eccentric and slightly out-of-place carvings that decorate the city streets. From horned mythical beings to what look like Greek gods, there really is nothing new about Leicester’s multi-cultural heritage. But there is one particular symbol that really stands out above the rest and you can spot it all over the city. Carved into many Victorian buildings as well as sitting on top of the Town Hall itself, is the figure of a reptilian beast. You can even find it on top of Leicester’s iconic Clock Tower and the Corn Exchange building in the form of a weather vein. In appearance it looks like a two-legged, or sometimes legless, winged creature similar to a dragon, having a barbed serpent tail and green scaly skin. It shares its name with a local primary school, a business centre and a public house, and sits proudly on top of the Arms of the City of Leicester. It is of course the wyvern. But why should such a creature be associated with Leicester? Surely a fox would be more appropriate? 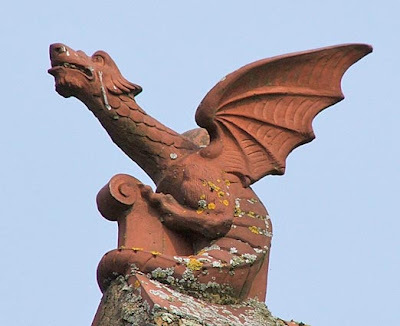 The wyvern is here for a reason, a prominent, yet rather unusual symbol that is the key to identifying one of the most important yet greatly forgotten characters in English history. The origin of the word wyvern comes from thirteenth-century word wyver, which is derived from the French wyvere, meaning both "viper" and "life." The earliest mention of the wyvern is in folkloric tales where it is generally depicted as a violent predator. In heraldry, the wyvern is said to represent war, envy and pestilence, but it is also a symbol of power. Leicester’s wyvern connection originates from 1619 when the Arms of the City of Leicester were confirmed during a Heraldic Visitation. Originally consisting of a simple cinquefoil with a battle-scarred wyvern perched on top, the inspiration for the design came from motifs that were associated with the city’s historic earls. After contacting Leicester City Council, they stated that the wyvern was the crest of Thomas Crouchback, more commonly referred to as Thomas of Lancaster, a powerful earl of five cities including Leicester, living in the early fourteenth century. This character was new to me and I was surprised that I had never come across him before. His symbol is everywhere in the city, but his story has all but disappeared. So now it’s time to dust away the cobwebs and tell everybody about a character that is possibly more influential than the great Simon de Montfort himself. Born in 1278, Thomas was the eldest son of Edmund Crouchback, the first earl of Lancaster and previous earl of Leicester. His mother was Blanche of Artois, the niece of French king Louis IX. After his father’s death, Thomas inherited the earldoms of Lancaster, Leicester and Derby and through his marriage to Alice de Lacy, he became the earl of Lincoln and Salisbury as well as the eleventh Baron of Halton. So not only was Thomas the most powerful man in Leicester, he was also one of the most powerful men in England. He was the country’s most premier earl with an impeccable ancestry. He was the grandson of Henry III, nephew of Edward I and first cousin of Edward II. Royal blood flowed through his veins and through inheritance Thomas acquired an immense amount of wealth and power. For the first sixteen months of Edward II's reign, Thomas openly supported his cousin, and he enjoyed Edward’s favour and company. In the summer of 1308, Edward gave Thomas a royal grant of the stewardship of England. But their relationship was soon to change and Thomas began to move into opposition against the king. No single event can pinpoint the reason why their relationship broke down. It only became evident when Thomas ceased to witness royal charters and when his favours from the king began to dry up. It was also shown when Thomas moved northwards away from the king, to settle within his own territories, amongst his ‘own’ people. Spontaneously in the spring of 1309, Thomas led a call for reformation, a direct move against the king. 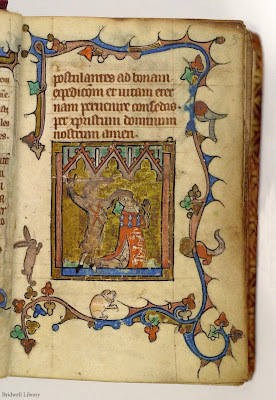 Due to Thomas’ power and support, the king had to give in to his cousin’s demands and in February 1310, Edward was forced to appoint lords ordainers, and ordinances were published the following year. For the rest of his life, Thomas’ adherence to his new reforms would be his chief principle of action, to give people a fair and just governing body. His popular programme was termed ‘a remedy for the poor and oppressed’ and as he was already in control of a large proportion of the country, it meant that his support was great. Thomas also led the revolt against the king’s closest ‘friend’ and ally, Piers Gaveston, who is believed to have been Edward’s homosexual lover. Unsurprisingly, Gaveston also proved unpopular with Edward’s wife, Isabella, and her husband’s preference for the company of Gaveston led to early discord in their marriage. Thomas constantly mocked him as “the fiddler” and when Gaveston demanded that the king dismiss one of Thomas’ men, he swore revenge. There were many official attempts to remove Gaveston from England and although successful, the king would defy Thomas and the ordainers by welcoming him back. When he returned in 1312, Gaveston was restored to full power and consequently, was faced with great hostility. On June 19, 1312, Thomas of Lancaster was responsible for the murder of Piers Gaveston, destroyed any chance of a reconciliation with the king. As well as alienating Edward, the murderous act of Thomas also split the ordainers and the country came close to civil war. But if the king didn’t have enough problems already, the prospect of civil war paved the way for the Scots to challenge the king for independence in 1314. Under the influence of Robert the Bruce, the Scots besieged England’s Stirling Castle, to bate the English to come out and fight. Edward II and his army hurriedly marched northwards to counter the insurgence and reclaim the castle. 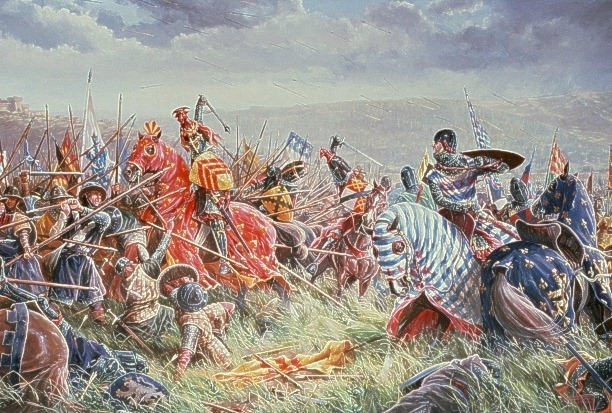 But before they arrived, the king was stopped at Bannockburn and from June 23-24, 1314, the most famous Anglo-Scottish war in history took place – The Battle of Bannockburn. It is here you should note that Lancaster, as well as the earl’s of Warwick, Arundel and Warenne, all refused to serve the king in battle, arguing that the summons of armies had not passed through parliament as the ordinances decreed. This greatly limited the king’s army and was one of the main reasons why Edward suffered a humiliating defeat at the hands of the Scots. The unexpected defeat at Bannockburn had dire consequences for the English king and he was now at the mercy of the leader of the opposition, Thomas of Lancaster, whom he submitted to and made him his chief councillor. Lancaster’s new powers made him the leader of the government, and effectively leader of England. The defeat by the Scots highlighted the importance of the ordinances, as going to battle without the consent of parliament led to the greatest English military disaster of the Middle Ages. But some historian’s now believe that before the Battle of Bannockburn, Thomas had an allegiance with none other than Robert the Bruce. Implications invoke that our earl played a dirty game to get to where he wanted to be and in fourteenth century England he committed the most treacherous act possible, he sided with the Scots. With Lancaster leading the opposition within the country and Bruce from outside, they fought the English king together for mutual gain, opening the door for Lancaster to take England, and for Bruce to take Scotland. But leadership was always going to be an uphill struggle for Thomas as the country was in a dire state. The Scots continued to push into northern England, the English famine of 1315-17 had lingering effects and the people had no faith in their king and country. Lancaster’s remedy, of course, was the full enforcement of the ordinances, which the king reluctantly agreed to. But Edward would not go away easily and was unwilling to enforce the new parliamentary procedures. The two cousins clashed violently and a catalogue of unfortunate events helped Edward to manoeuvre Thomas into political isolation. The other English earls swore their allegiance to the king leaving Lancaster to become a one-man opposition and his political power lay almost entirely with his wealth and following. The Scots continued to ravage northern England and when they had reached as far south as Yorkshire, the king and his barons realised they needed Lancaster’s help. He still held lands that stretched the length and breadth of the country and had a strong, loyal army in his own right. But bringing Edward and Thomas together would be an almost impossible task, but like they say, money talks, and on this occasion it certainly did. The king had to make payments in return for a united country. But this did not mend their shattered relationship and quarrels continued and escalated to yet more conflict between the two, including the accusation that Thomas was in collusion with the Scots. It must have caused suspicion when Lancaster’s lands were spared by Bruce’s men, but Thomas would never have admitted to playing any part in England’s most humiliating defeat, as it would mean certain death. All of the old divisions were re-opened and the reformations that Thomas had fought for, all of which were for the benefit of the people, had effectively died a death and the political system of England went backwards instead of forwards. This is where we meet Hugh le Despenser, 1st earl of Winchester and his son Hugh the Younger Despenser, who by 1319, had gained control of the courts, controlled access to the king and directed the royal household. This power gave the ambitious Despenser’s the chance to take land in England and Wales, by force if necessary, which upset many of the lords. They did not have the power to counter the Despenser’s and had to yet again plead to Lancaster for help. The country was again on the brink of civil war and Lancaster had to discuss a formal alliance with old friend Robert the Bruce, to remove the king and the Despenser’s. But Lancaster was out of time. King Edward had already sent his armies northwards and he was captured on the River Aire at Boroughbridge on March 16, 1322. During trial Thomas was not allowed to speak in his own defence, nor was he allowed to have anybody speak for him. 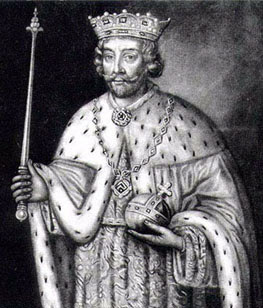 Because of their kinship and Thomas’ royal blood, the king reduced the sentence to mere beheading (as opposed to being drawn, quartered, and beheaded) and on March 22, 1322, Thomas of Lancaster was convicted for treason and executed near Pontefract Castle. Also executed was John de Mowbray, owner of the lands of Melton Mowbray and strong supporter of Lancaster. If you don't include Piers Gaveston, who technically wasn't earl of Cornwall at the time of his death, having been stripped of his title, Thomas of Lancaster was the first English earl to be executed since Waltheof in 1076. This is the reason that the Wyvern on the Leicester Coat of Arms has a wounded appearance with blood pouring from its wings, to commemorate Leicester’s executed earl. Like Simon de Montfort whose lands he inherited and whose career superficially resembles his own, Thomas of Lancaster was revered as a ‘political saint,’ dying for a cause as opposition to a ruling regime. Only six weeks after his death miracles were reported from his tomb at Pontefract and an armed guard was sent by the king to close the church where his body lay. In 1323 there were riots as crowds of people tried to gain access to his place of execution, to pray and make offerings. They became the cult of ‘saint’ Thomas and his tomb at Pontefract Priory became a shrine. Hagiographies were written about him, and Edward III wrote three times to the Pope requesting his canonisation, but was sadly denied. For many years the earl’s hat and belt were preserved at Pontefract and were considered magical, being respective remedies for headaches and the dangers of childbirth. In the early fourteenth century the people of Leicestershire supported Lancaster in all of his beliefs and actions. His life followed a complex sequence of twists and turns but he was always consistent with his aim in life, to reform the country. The earl had many negative traits, he was a bad husband, had bigoted views and committed treason to name but a few, but he sincerely wanted a better life for the common man, to make the country a fairer and more just place. His life is a reflection of his predecessor Simon de Montfort, both earls playing important roles in the fight for English democracy, yet one has failed to gain the same recognition. Whether it was a nice decoration from the Arms of Leicester, or whether they remembered Lancaster with fondness, the Victorians have put his mark all over the city. The wyvern celebrates Leicestershire’s ‘political saint,’ once the most powerful man in the country. He may have openly showed defiance to the king of England, but he was always true to his word.He did everything he could to transform the country but the hurdles were just too high. He lived for the people and paved the way for a new system of government; he laid the foundations of democracy. Learn more about Thomas of Lancaster in a publication by the University of Leicester’s Dr J. S. Bothwell. “Falling From Grace: Reversal of Fortune and the English Nobility 1075-1455” will be available in 2008 (Manchester University Press).